Pretty Me Up! 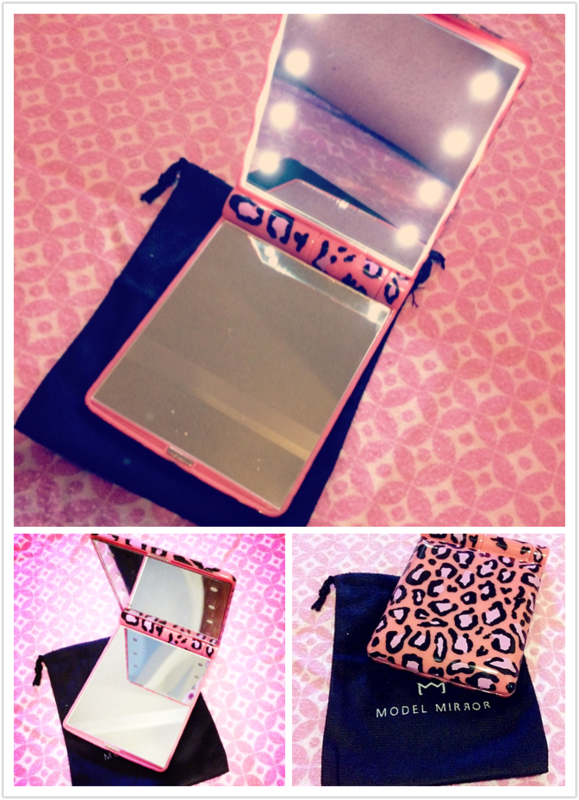 : Model Mirror... a Must Have! Model Mirror... a Must Have! These mirrors are most definitely worth raving about! Maybe some of you are thinking? What's the big deal? It's just a mirror. But it is not just any mirror. It's the model mirror! It's weighty, high quality and my favorite part is the 2x magnification on one side. It is like having a mini-vanity mirror on the go! Purchase them here for $25. 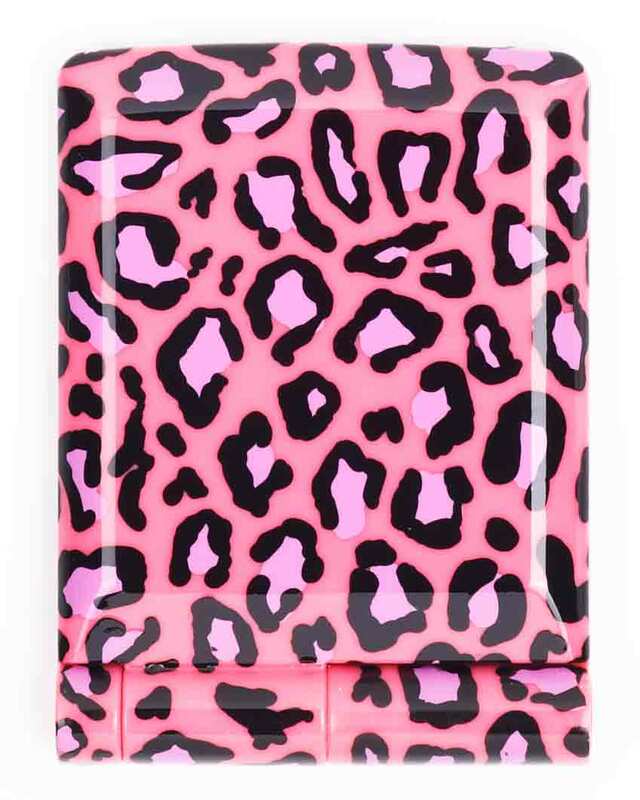 No, regular run of the mill leopard print will not do. The loopier, the better. 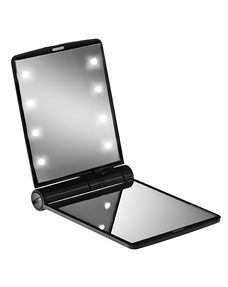 Bridging the gap between essential beauty tool and must-have fashion accessory, the Model Mirror® has been designed to light up the night when a makeup touch-up is called for. For a taste of backstage pampering in the palm of your hand, this compact mirror has 8 embedded LED lights (arranged to emulate a backstage makeup mirror) which light up with the push of a button.